B) Hurdles - 2 left leg lead 2 right leg lead forwards, 2 left leg lead 2 right leg lead sideways, 2 backwards. Adjust height, 2 left leg lead 2 right leg lead unders and overs (3 min). C) Slalom through poles and dynamics on the way back (include partner dynamics) (4 min). 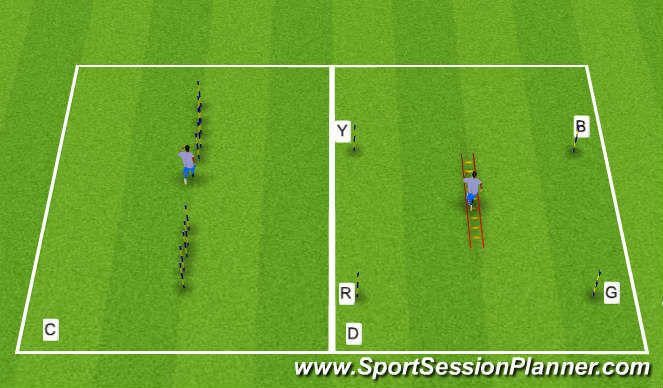 D) Through ladder then react to command of yello or blue. Progress to red or green (3 min).